What can attach-it attach to? 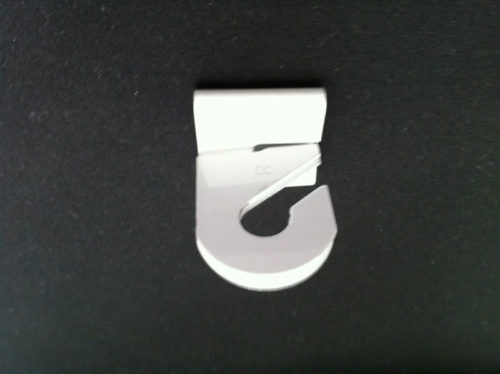 Attach-ItTM is suitable for almost any type of wood or metal. Use it on narrow wood, wide wood, metal, molded resin or plastic. 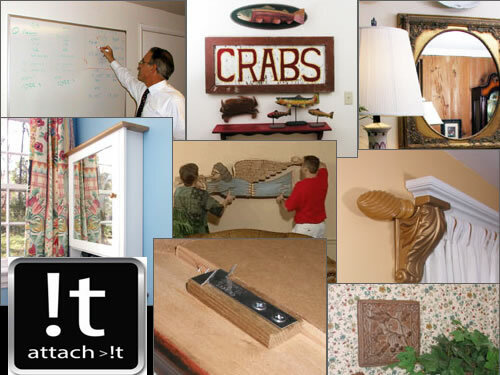 However, we don’t advise that you use attach-its on items made of glass or on items made of fabric. What if the screws “bottom out” on my item? No problem! 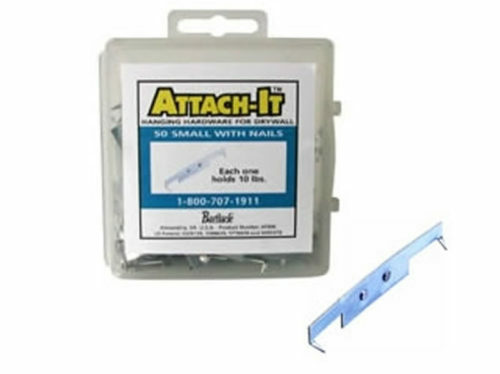 Attach-ItTM can also be mounted to the back of an item with a heavy glue. You may sometimes need to use glue and longer screws if the material is very soft as with some molded foam frames. Absolutely! And it leaves almost no mark on your wall! 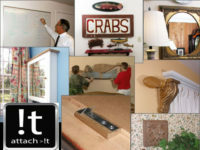 To remove the item, simply grasp the item firmly, keep the bottom of the picture or item close to the wall, and jiggle the item up and out of the wall. The natural inclination is to pull the bottom of the picture out, don’t do that as this will damage the wall unnecessarily. How heavy of an item can attach-it hold? 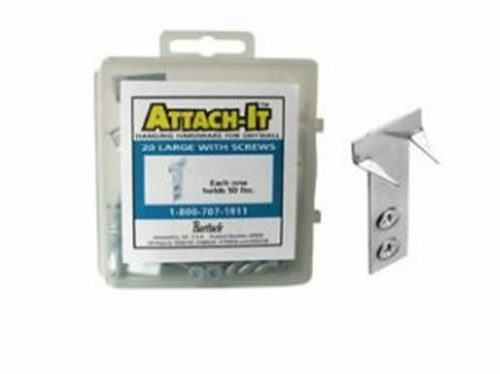 Each large Attach-ItTM is rated to hold 50lbs, which is an incredible amount of weight. 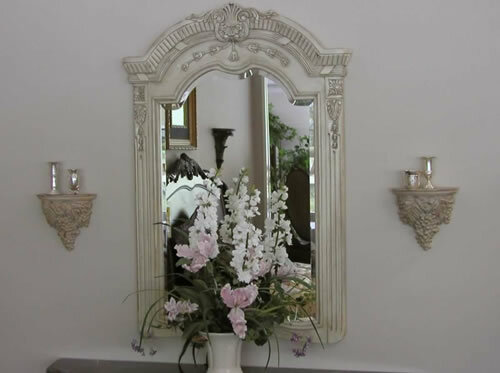 Two large Attach-Its on a picture or mirror will hold 100lb. 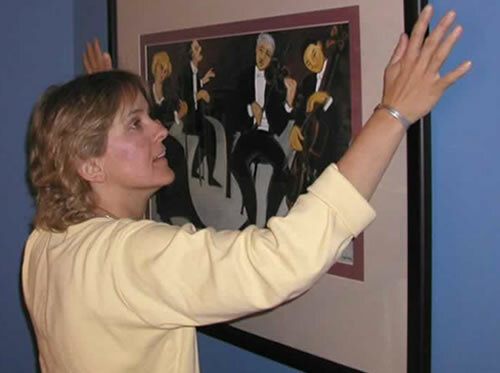 However, keep in mind that items that protrude out from the wall (such as shelves or wall sculptures) will not have the same holding power. Do not hang more than 10lbs in this manner.